Moving Service offers an outstanding range of removal services for households and businesses moving to Tottenham Hale and the surrounding areas. With an extensive fleet of vehicles and experienced movers, we can manage large and small moves seven days a week. Our services can include van hire, man and van packages and comprehensive removal deals, as well as packing services and packaging materials. So, if you need help with any aspect of your move, give us a call on 020 8746 4402 to see how we can help. We can offer you free and impartial advice with no obligation to buy. To get your free quote, all you need to do is get in touch – our friendly customer services team will be happy to take your call. Tottenham Hale is a large area in the north of London that is part of the Borough of Haringey. With tube stations on the Piccadilly and Victoria lines, it is a relatively well-connected part of the city that is home to a wide number of nationalities. Sights here include the White Hart Lane football stadium and a diverse selection of restaurants and bars. With relatively high crime and unemployment rates, house prices here tend to be lower than the London average. The area is now the focus of a number of regeneration projects which are aimed at improving general facilities and transport links. Nearby areas include Walthamstow, East Barnet and Holloway. • Transparent prices with no hidden costs. Need A Quick & Reliable Team? When you’re relocating the last thing you want is a long drawn out process with a never-ending pile of problems. That is why Moving Service are here to help with any relocation to Tottenham Hale, N15. Our movers are quick and reliable, fully-trained in the art of house moving. Arriving on time and in one of our liveried vans, our team can make light work of any move. So, if you have piles of boxes or heaps of furniture which you need to move, why don’t you let our team take charge of it for you! We guarantee that your household or business items will be in excellent hands and that each mirror, chair, desk or ornament will make it to your new property in one piece. All of our workers have had many years of experience and are complete and utter experts at what they do! 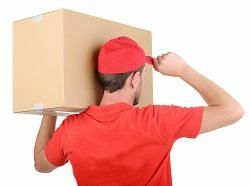 It is easy for costs to spiral out of control when it comes to a house move. Firstly, there are the costs of the packaging and then the van rental and man hire costs. So, if you’re moving to the N17 district of London and want to make sure that you’re getting a good deal, call us on 020 8746 4402! We can give you a free estimate over the phone that is tailored to your specific needs. With great mix and match offers and buy one, get one free deals, you’re guaranteed to save money when you make your booking with our removal company!